Last month we asked you to submit your questions for Tony McCarroll and were inundated with responses. Tony was one of the founding members of ‘Rain’, the band who would later become Oasis. During his time with the band, he played on what was at the time the fastest selling debut album of all time 'Definitely Maybe' and the Some Might Say single which would become part of the biggest selling album of the 90’s; What’s The Story (Morning Glory). His distinctive way of playing helped create a unique sound for the band in their early years and songs like Supersonic, Bring It On Down and Live Forever are all instantly recognisable from his signature style. After leaving Oasis, Tony continued to play drums, he founded he band Raika with his brothers and to this day continues to hold drum clinics for young musicians. In 2010 he released his the book ‘Oasis: The Truth’, telling the story of his time in the band. 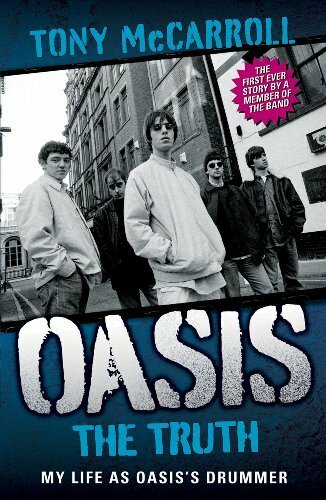 The book is a first hand account of Oasis becoming the biggest band in the country from their humble beginnings in Manchester and has received critical acclaim from both fans and journalists. Things are good right now. The book has been a massive success and critically acclaimed across the nation and beyond, which feels rewarding in its own right. It has also lifted a huge weight from my shoulders which explains the feeling good bit. I've read your book and enjoyed it, when did you come up with the idea to release it? I’m glad you enjoyed it. I really feel I’ve aired my grievances and the response from people has been overwhelming. The idea came about a couple of years ago, pre the band splitting. Noel was on his rounds promoting an album and once more it was me as the ‘stooge’. I just decided that it was time to set the record straight. The book has a humorous thread running through it which really seems to have struck a chord with people. Have you had any feedback from the members of the band about the book? Funnily enough I bumped into Bonehead just before the book release. He was as peachy as ever and wished me well. Apparently Noel has read it and actually really enjoyed it. It seems he found most of it hilarious. It’s good to see him taking that perspective. Everyone mellows with age or in Noel’s case, starts to thaw. Only joking! How do you think most Oasis fans feel today about your contribution to the band and your early departure? Was your book also addressed to them, or have you always felt their affection and respect throughout the years, before and after you left the band? Like all group fans they are broke down into two groups. Those that like you and then those that don’t. It is what it is. I’m lucky in the sense I rarely meet a fan that I don’t get on with. I’m an amicable fella. Life is about having respect and if you do so more often than not it is returned. There are rumours of the book being turned into a movie. Is this true? And who would you like to play you? A production company has spoken to me about filming the book. They are going to approach Noel for the rights to the music. I guess we’ll see how much Noel likes the book when he replies. I was thinking maybe Leonardo Di Caprio all wigged up for me and definitely Craig Cash for Bonehead. Is it true that you first picked up the drum sticks when you were five, and that it was recorded and broadcast by the BBC for it's flagship childrens television show Playschool? Yes it is. You can ask me mam. If anyone reading works for the Beeb and has access to the programme archives maybe they could dig it out. It would be great to see that again. The first member of Oasis you met was Guigsy, how did you first bump into him? We met through football as kids. They really were good years. The only concerns we had revolved around having enough money to get to the match at the weekend with ten fags in your back bin. Anything else was a bonus! There was only so many stories I could fit into the book but those days could fill a book on their own. Is it true that you both use to go to both Manchester United and City games together? That would be physically impossible. Unless it was derby day. You were in a band called 'Pleasure And Pain' what type of music did you play? I think you might find that was Bonehead’s first band, not mine. I believe it was a Sado Masochistic act which explains the name. A few years after that you met Bonehead after Guigsy introduced him to you, what were your first impressions of him? I thought he was the funniest geezer I’d ever met. A laugh a minute and a fine musician to boot! I was fortunate enough to share a room with Bonehead on every tour…Definitely the most exciting room and always last to bed! Captain Mayhem! Guigsy invited you to join the Rain with him, Bonehead and Chris. Who came up the name of the band? Some uninspired soul, probably staring out of any window on any day in Manchester. Are there any early recordings of the band pre-Gallagher lying around? I dunno. Best man to ask for that is BigUn (Paul Ashbee). He collected all sorts at the beginning like a regular little magpie. I think Noel even checks his own recollections with BigUn just to be sure! When did you first meet Liam and what were your first impressions of him? My first impressions were poor. I just couldn’t get the walk right. I’m no Mike Yarwood. I first met Liam in Errwood Park when he would have been about twelve. Liam has always had what is now labelled as the ‘X’ Factor. Liam was always a leader and had a strong personality. He was a top fella then and remains so to this day. When Liam auditioned for the band, what songs did he sing at the audition? And how quick did he change the name to Oasis? When Liam auditioned in my house I don’t think he even sang. He didn’t have too. We were a couple of months in before he came up with the idea to change the name. It seemed right. After Huts departure The Rain had effectively stopped. You played a number of gigs in Oasis before Noel later joined, what songs did he have already written when he joined? Nothing that you might recognise. A lot of the early stuff was borne out of jamming and then the lyrics added afterwards. Tracks like ‘Strange-Thing’ or ‘Colour My Life’ etc can be heard on YouTube. You were discovered by Alan McGee in Glasgow, how much of Definitely Maybe was prepared by then. A very specific question. I wish I had a very specific answer for you! Only one or two tracks at most. What were your first impressions of Creation? Was it as wild as it has been reported? We were ushered by Alan McGee onto a rollercoaster of champagne, chemicals and cash. We were five working class lads from Manchester without a pot to pish in. Creation knew how to feed us and also how to feed the media. I think they knew our antics and behaviour could propel us to stardom. They had also heard ‘Definitely Maybe’! How much creative input do you feel you had on Oasis' drumming? 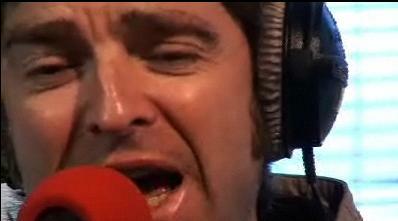 Was it simply Noel saying "this is how I want the drums to sound, so do that." It varied. On occasion Noel would have a definite sound that he would want recreating but at other times we would simply jam away and Noel would write around that. A great example of this is ‘Supersonic’. That was myself and Bonehead sound checking and then Noel picking up the vibe. I am very proud that the very first offering from Oasis as a band to the British public was the drum beat I had created in a little studio in Liverpool. It still sends shivers down my spine! What is your favourite post-McCarroll Oasis song? It’s got to be ‘Don’t Look Back In Anger’. How's your relationship with the rest of the band nowadays? I haven’t spoke to Noel or Guigs since I left the band. I did bump into Noel at a Manchester City game recently but he fled as soon as he spotted me, which was a shame. I’d like to think we had both mellowed with time. 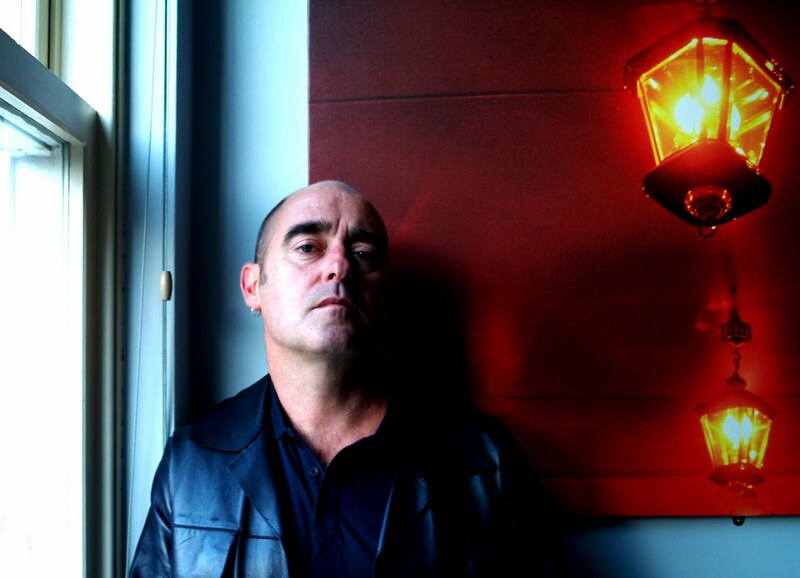 Bonehead is still a musical genius and we catch up every now and then. I last spoke to Liam at a Real People concert and as usual we had a proper roar. Liam is a good guy. If Noel and Liam ever decided to do a re-union tour with the original members of Oasis would you be interested? I suppose they would have to convince each other first. Easy. Live Forever. I imagine it will go down in the annals as our signature tune and rightly so. I love the intro with the big drum sound. At concerts you would hear people singing out loud along to the beat! There’s not many songs where that happens. When we recorded the song Owen Morris turned up the drums which infuriated Noel but in the end Owen got his own way and turned up the drums on most of the tracks whilst mixing. Even Noel eventually admitted it was the right decision. What are your favourite drums on an Oasis track? Who do you rate as the best drummer out of Alan White, Zak Starsky and Chris Sharrock? I think they’re all great drummers but I do love Zak’s creative side. He doesn’t do the obvious and has taken the band in a different direction! Dare I say that he reminds me of his ever so famous Dad and the way he used to approach recordings. Is it true that you were in the audience at the V Festival for the last ever Oasis gig? Yes. There was a group of twenty of us who visit the festival annually. I thought that evening that the Oasis performance was particularly good! There are only two people in the world who attended Oasis’ first and last gigs. That’s Liam and my good self!! I reckon that will make a great question in a pub quiz! What's the most memorable moment you had with the band? Who were you closest to within the band? Bonehead and Liam. We were the ‘mischievous’ set within the band. Noel was busy swooning with female music biz reporters or being interviewed and Guigs spent most of his time reading about which direction to shave your facial hair or watching cricket. That left the way free for us to leave a trail of destruction and broken hearts up and down the country. Did you listen to Oasis' later albums after leaving the group? If so, what is your opinion of them? Yeah of course I listen closely. Can’t say I’ve actually bought one though. The first albums were fantastic but I kind of lost interest after that until ‘Dig Out Your Soul. Some of the in between bits were almost predictable but that may be because I was very familiar with Noel and the way he wrote. Do you think your book will encourage other former members of the band to release one? I hope so. I would most look forward to Liam’s recollections. Noel has bared his soul for all to see for the last couple of decades or so where as Liam has shrouded himself in mystery. It would be good for the British public to see that their perception of Liam as a hooligan and yob isn’t strictly true. Do you still play the drums on a regular basis? I’ll never stop. The drums were my first real passion in life and I still enjoy them to this day. If a drummer ever stops drumming it all goes wrong! A drummer thing! You said in your book you are involved in drumming workshops. who is it for? and how did you get involved in it? My workshops take place in Ireland for local youngsters. I have always enjoyed teaching and being able to develop talent. Getting young people to focus on something creative is important to me and can prove extremely beneficial to them. What happened to your band Rakia, and did you ever record anything? I was in Rakia with my two brothers, Ged and Adi. Ged is a much in demand session musician who constantly put off tours and work to dedicate himself to Raika. When this became no longer practical the band had no choice but to split. There are a few shaky demo’s floating around with some early offerings on them. If you had the chance to join an exciting band now, would you still feel passionate about going back to the music business full time or is it something that you are just not interested anymore at this time in your life? If you could of joined another band past or present, what band would you have picked? Probably Led Zeppelin. A curly John Bonham! Finally why should people read your book? They should read my book if they are interested in Oasis, Noel Gallagher, Manchester, football, drinking, Ireland, robots, love, drummers, drug deals, Liam Gallagher, tramps, riots, the mafia and Kurt Cobain’s coat. Tony's book ‘Oasis: The Truth’ is widely available from the usual stockist, click here for a closer look. We’d like to thank Tony for taking the time to answer questions from the fans and to all of you who submitted questions. Visit my newly launched Beady Eye fan site www.standingontheedgeofthenoise.com by clicking here. Proper! my questions made it in. Great interview thanks! Great Interview. its about time for another update. The book was awesome!